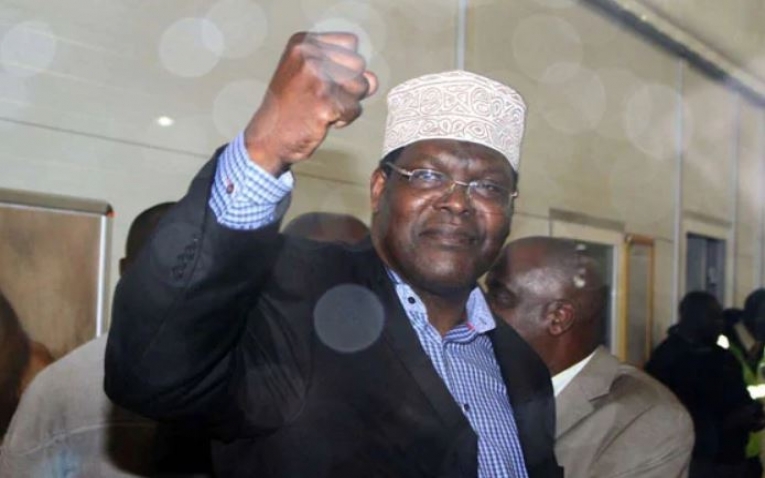 Seven months after his deportation, controversial lawyer Miguna Miguna, has filed a case against international airline Emirates as well as the Kenya Airports Authority. Through his lawyer John Khaminwa, the self-proclaimed leader of the National Resistance Movement (NRM) filed the affidavit to the High Court of Kenya seeking damages from the two entities for allegedly colluding with the government for his unlawful detention. According to the outspoken leader, the two aided the government to have him forcibly removed from Kenya, violating his constitutional rights. In his affidavit, Miguna highlights that the KAA was aware that he had acquired court orders demanding for his release yet they still went ahead to facilitate these illegalities. The 10-page affidavit also asserts that the two, KAA and Emirates, should be punished for libel, slander and defamation of character, compensatory damages, exemplary or punitive damages and must therefore foot the cost of the suit. “KAA employees worked with heavily armed men and women wearing civilian and police uniforms to physically assault, batter, brutalize and humiliate the plaintiff in full public view, tore his clothes, violated his personal integrity and violently attempted to force him to board an Emirates flight to Dubai,” reads part of the affidavit. He also wants a mandatory injunction ordering KAA and Emirates to remove and delete all defaming words from all internet sites, blogs and all electronic forms stored, archived, published or posted. This comes just months after the High Court awarded him Ksh7 million as compensation for the violation of his rights during his deportation to Canada. In a ruling delivered on December 14, 2018, Judge Ennoch Chacha Mwita noted that Miguna’s deportation was unlawful and in violation of the Constitution. Justice Mwita further affirmed that the cancellation and the declaration that he was a prohibited immigrant were unconstitutional. “I find and hold that he did not lose his citizenship upon acquiring a Canadian passport,“ Justice Mwita mentioned concerning his passport.